What better way to end the year than with an amazing Shopbop sale?! 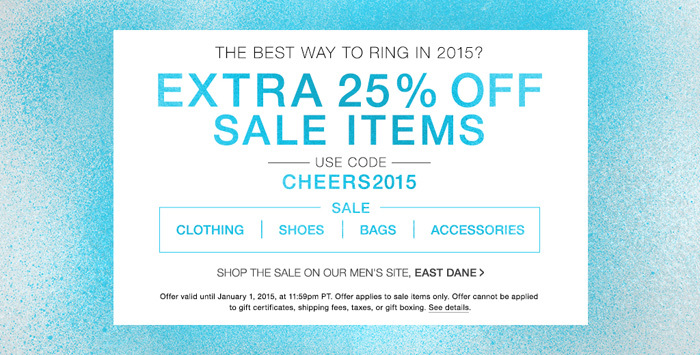 From now until January first, they have 25% off all sale items using code CHEERS2015. I went through to find my favorite items and they seriously have so many that I found it impossible to choose.